Now I﻿ can put the (Ra-ra-) Rasputin song into my speech about him. 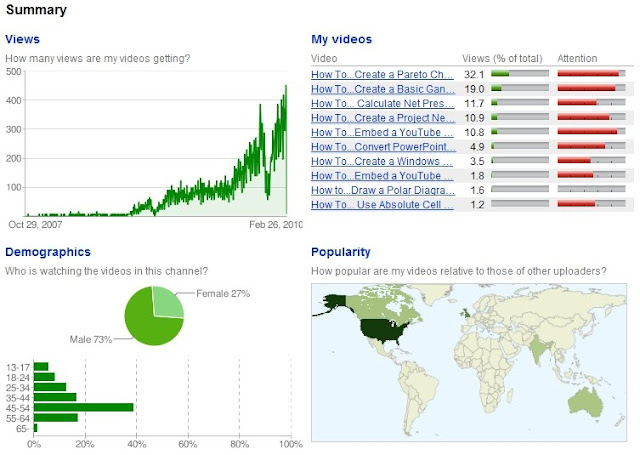 YouTube provides an interesting Insight option so that you can get some information on the demographics of who is viewing your videos and where they are viewing them from. The charts below are taken from the Insight page and represent all data since I set up the channel (11th December, 2007). Interestingly, most views are from the USA, UK, Canada, Australia, and India - while my audience is mainly male and in the 45-54 age bracket (same as me on both counts).